The Thornpear Valleyshockers were founded 2501 by some creepy Blood Bowl enthusiasts in the Rino Valley in the village of Thronpear. They started as an all-goblin team with little success, but very high spirits. With the arrival of Dhurvod Dhung they found a "reliable" way to score Touchdowns without being stomped on. During spring time 2505 the first Percht showed up at the practice grounds and they were intrigued by the fine sport of Blood Bowl. 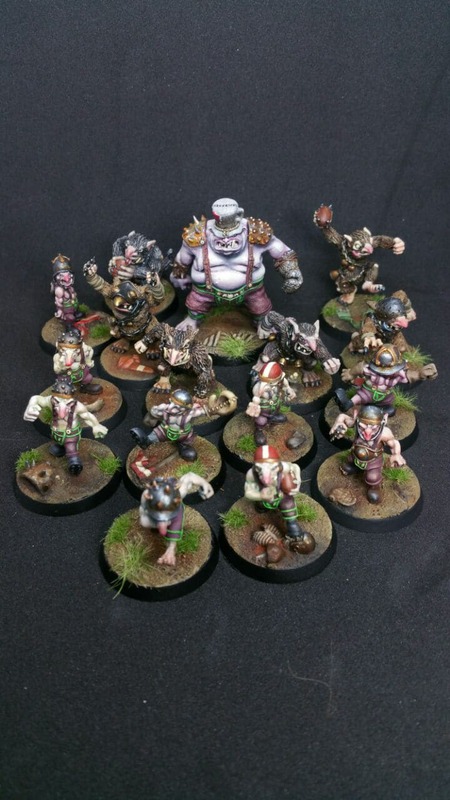 After applying for a special "rat-status" at the local league commissioner they were allowed to play in the league as an Underwold team. Ever since then, they racked up one record after the next. Unfortunately, these records had never anything to do with winning the league title or anything with winning on a regular basis at all. Their everlasting love for cheese is known all over the Old World, though.